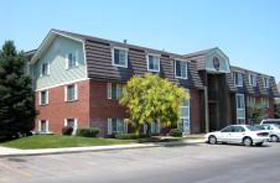 Old Mill Condominiums are located at 718/722/724/726/728/ W 1720 N Provo, UT 84604. The Old Mill Condos – Provo Utah are BYU Approved. These condos were built in 1984 and have 97 units. These condos are not within walking distance to BYU. If you are a BYU student you will need a car to get to campus. The Old Mill Condos – Provo Utah have a tropical solarium and both indoor and outdoor pools. In the summer they set up a sand volleyball court. Old Mill Condos in Provo Utah: 2011 Monthly HOA Fee: $220. The Old Mill HOA Fee Includes: Water, Sewer, Trash, Cable TV, Internet, Exterior Maintenance, Pools. I went into the MLS to do some research on the Old Mill Condos – Provo Utah. Between 1995-1998 the Old Mill Condos sold for $98,900 – $115,900. Between 1999-2000 the price range raised to $115,900 -$117,900. Prices continued to rise. From 2000-2005 the price range moved from $117,900 to a high of $154,650. The highest price I can find on the MLS was a sale in 2007 for $161,000. Prices at the Old Mill Condos – Provo Utah hit a high in 2007 and then moved downward. In 2012 the condos sold for between $137,000-$148,000. Do you own a Old Mill Condo? Would you like to know the current value of your condo. Team Teasdale Realty will give you a free CMA on the current value. We provide a 10 page full color report comparing your condo to the other latest sold Old Mill Condos to generate a current market value. Are You Looking to Buy or Sell a Old Mill Condo? Paul Teasdale has been selling condos in Provo Utah since 1995. Hire an experience Provo Utah Realtor to help you buy or sell a Provo Condo. Contact Paul Teasdale today!